RARE find in the heart of Meridian. 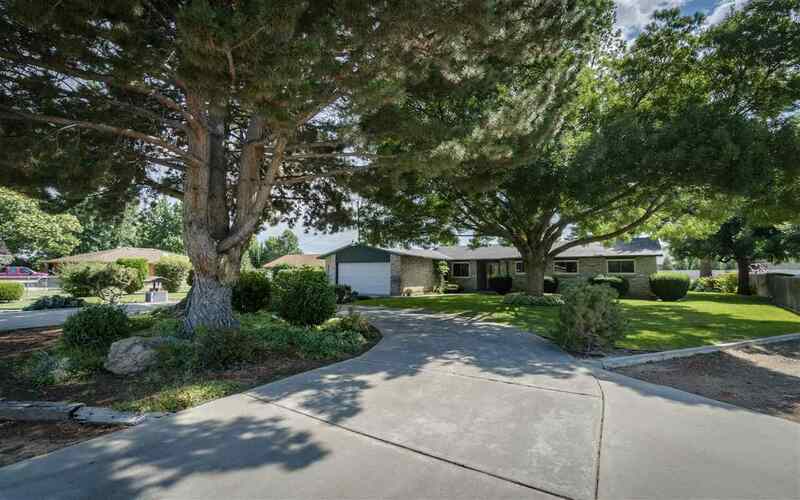 This Charming home features all Brick exterior (re-cycled from an old Boise)Gorgeous Circular driveway & mature irrigated landscape.89 Acres Back part was used for Horses! Original owners Loads of room for SHOP no CCR's! Inside needs paint and carpet but Great bones & potential. NEWER: Vinyl Windows, Furnace/AC, water heater,Plumbing, Gas fireplace,Sprinklers, garage opener,SS Appliances!Irrigation stream rear & N side.